Editorial: Our Support for—and Reservations About—Arming DPS | The Gettysburgian. On Jan. 28, Dean of Students Julie Ramsey and Executive Director of Public Safety Bill Lafferty presented a proposal to the Student Senate on the situational arming of Department of Public Safety (DPS) officers. Since the Virginia Tech Shooting in 2007, Ramsey and Lafferty, at the behest of President Riggs, have analyzed campus security on an annual basis to consider whether officers should be armed. The result is a proposal to have six handguns kept within a gun safe in DPS, that will only be removed by state-certified officers for campus emergencies and for situations with elevated risk e.g. a high-profile guest speaking on campus. Several times during the discussion at Monday’s Student Senate Meeting, Director Lafferty said that this proposal is not a reflection of who we are, rather of where we are. Indeed, one need only turn on their television to find tragic examples of both school shootings and of tragedies wherein law enforcement officers have shot unarmed young people, often people of color, who had done nothing wrong. Obviously, it is our fervent hope that neither situation would ever occur at Gettysburg College. With that in mind, we offer our support for the proposal to situationally arm DPS officers, albeit with several reservations. Undoubtedly, circumstances exist in which law enforcement officials might need firearms to protect our campus. To date, when such circumstances have arisen, local police have filled that need. Lafferty said on Monday, though, that, over the past couple of years, local police have been unable to support DPS when large-scale events in Gettysburg strain municipal resources. 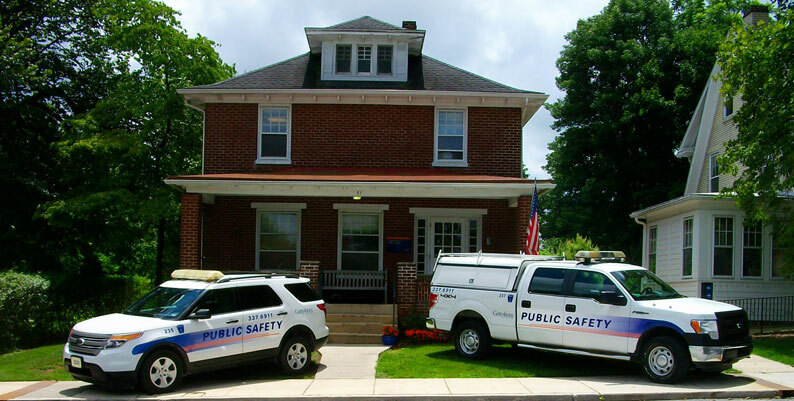 In particular, Gettysburg Borough Police have struggled to fill positions and are currently searching for a new chief. While Lafferty expressed confidence that, in an emergency, the police would be able to respond to campus “very quick[ly],” other circumstances — such as a KKK rally or Antifa demonstration in town, which have the potential to spill onto campus, could pose a threat that DPS should be prepared to address immediately. Moreover, large-scale events like graduation or visits by public officials may require added security beyond what local police are equipped to offer. As such, we believe there are legitimate circumstances in which it makes sense for DPS to carry firearms. However, we are concerned that introducing firearms, even in a limited capacity, could be a slippery slope to their proliferation. Our support for this policy is emphatically not support for the wholesale arming of professors, staff, or students. Unequivocally, we believe that the access to firearms at Gettysburg College should be stringently restricted to only highly-trained and vetted DPS officers at moments of great need. We expect the College to codify procedures for when officers will be armed. These procedures should limit the situations wherein firearms could be deployed to clearly defined, specific circumstances so that campus security does not devolve into officers being frequently or constantly armed. These procedures should also be transparent, publicly accessible, and explained, in detail, to the campus community. We also believe that — to the extent practicable — the campus community should be notified, in advance, when DPS plans for officers to be armed. If the occasions are as rare as Ramsey and Lafferty suggested, then students, faculty, and staff should know when circumstances dictate that such a dramatic deviation from the ordinary is necessary so that, if they desire due to discomfort with firearms or any other reason, they can steer clear of the area. Furthermore, DPS officers that are deemed eligible to carry a firearm should be highly trained and vetted. The College should not simply seek to satisfy the legal minimums in these practices. Instead, for their safety and ours, DPS officers need to be fully prepared for an array of situations that may require skills ranging from de-escalation tactics to recognizing implicit bias. As such, we respectfully suggest that officers receive regular, additional training beyond what is already in place for those officers who have tasers. In closing, we would be remiss not to note our absolute respect and appreciation for DPS, and, in particular, for its director, Bill Lafferty. He is a consummate professional whose scrupulous attention to detail and holistic perspective on campus security has been of great service to the campus community for the past 18 years. Fundamentally, we trust his judgment as to what will keep our campus safe. That he has developed this plan from the beginning and will be responsible for leading its implementation gives us great confidence. We simply hope that caution and transparency continue to guide the decision-making process and, more importantly, the implementation of any such program. This editorial reflects the collective opinion of The Gettysburgian’s Editorial Board: Benjamin Pontz ’20 (Editor-in-Chief), Joshua Wagner ’19 (Managing Opinions Editor), Alex Romano ’20 (Associate Editor), Katherine Lentz ’20 (Arts & Entertainment Editor), Mary Frasier ’21 (Director of Photography), Madeleine Neiman ’21 (Features Editor), Gauri Mangala ’21 (News Editor), Charlie Williamson ’19 (Sports Editor).